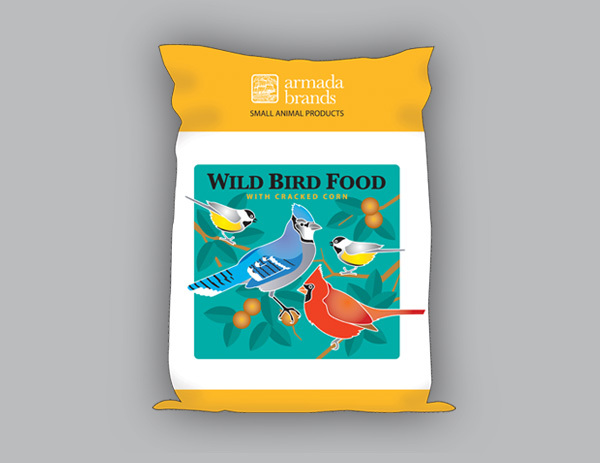 Armada Brands approached the Arion Group to design layouts for a small animal feed product line they were considering. On this original layout the bird illustration was drawn by hand, then scanned and rendered in Adobe Illustrator. The predominantly blue tones contrasted nicely with the gold color bands on the package. The packages in the small animal feed line were color coded so they were easy to tell apart.